Crimson Cup is your one-stop source for wholesale coffee beans and all the coffee supplies and equipment you need to run a profitable coffee business. Coffee Shops, Cafes & Bakeries – We wrote the book on how to open and operate a coffee shop for maximum profit and enjoyment. We offer everything you’ll find in a coffee franchise – and more – but without the franchise fees and business restrictions. Colleges and Universities – Your students want great-tasting, affordable coffee and espresso-based drinks, and Crimson Cup delivers. Plus, we’ll show you how to boost profits while minimizing staffing and training costs. Restaurants and Food Service Operations – Wow your customers and increase profits with awesome coffee and coffee drinks. Groceries – Make more money with premium bagged coffee, backed by point-of-purchase displays, sampling and other promotional programs. Your customers will taste the difference when you serve our award-winning and sustainably sourced coffee. We travel the globe to find the world’s finest coffee beans, which are roasted by hand in small batches at our Columbus, Ohio roasting facility then sold wholesale to our customers. 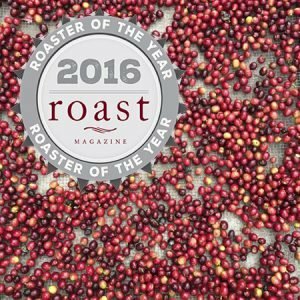 Our quality coffee has earned numerous industry awards, including the 2016 Macro Roaster of the Year award from Roast magazine. Gourmet syrups for flavoring coffee drinks. Base powders and recipes for frozen coffee and chocolate drinks. Smoothie syrups in all-natural flavors, with no artificial colors, caffeine or preservatives. Premium loose-leaf teas – both traditional and herbal. Insulated paper cups, napkins and other serving items. Espresso machines, blenders and other coffee-shop equipment. Backed by Profit-Building Consulting and Comprehensive Training. We’re more than a wholesale coffee roaster. When you buy coffee beans and coffee shop supplies from Crimson Cup, we become a partner in your success. That’s why our award-winning coffee and coffee shop supplies come with expert consulting backed by more than 25 years of specialty coffee experience. We’ve helped hundreds of businesses increase sales, customer satisfaction and profits. We can help you, too! Want to learn more? Give us a call or drop us an email. 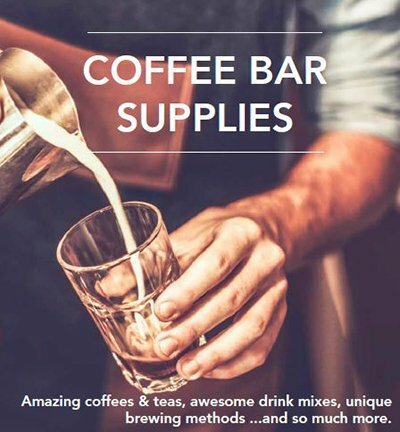 View our coffee shop PRODUCT CATALOG. We have everything you need to run a profitable business! Awesome, award-winning coffee is just the start of the products we have to help you grow your coffee shop business. Take a look at our extensive product catalog to better understand how Crimson Cup can support you! 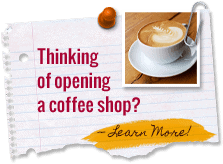 Follow Our Blog to continue to learn more about the how we support coffee shop owners just like you!